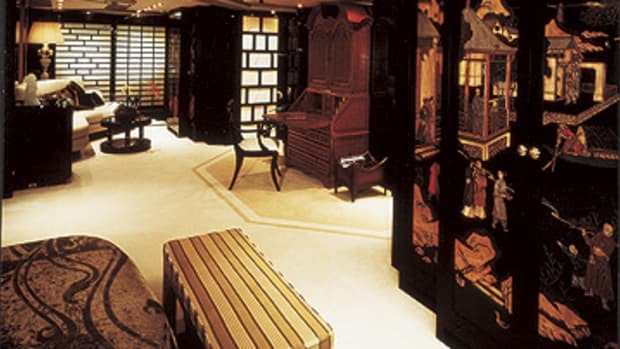 Despite having owned more than 200 boats, ranging from a 19-footer to a 172-footer, in practically every make and style you can think of, Jim Moran decided in 2004 that he wanted to build a new yacht. Was he bored with his other boats? Well, no. Was there something wrong with them or their layouts? No again. 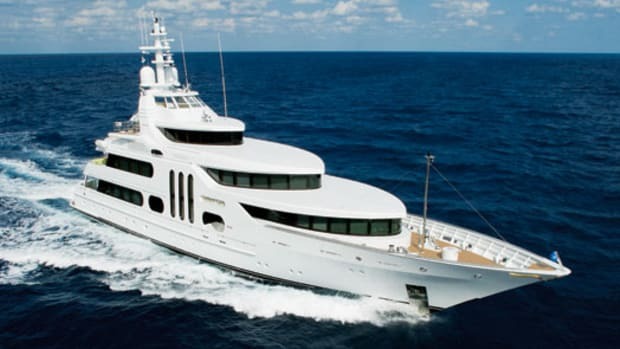 In fact, the 160-foot, four-year-old Delta and the 172-foot, nine-year-old Feadship that he most often used for entertaining the people he worked with at JM Family Enterprises, the Deerfield Beach, Florida, automotive company he owned, did the trick quite nicely. Jim and Jan Moran styled this Gallant Lady much like their 172, but with subtle differences; note the bow scroll, for example. So why build a new one? 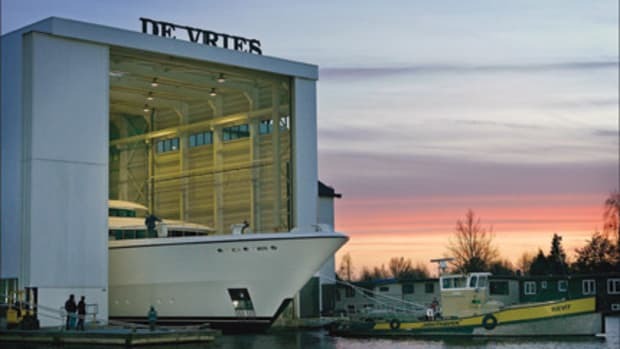 And why go back to the yard, Feadship&apos;s De Vries (now Royal De Vries), that had already built seven yachts for him? Simple. Because he wanted to. 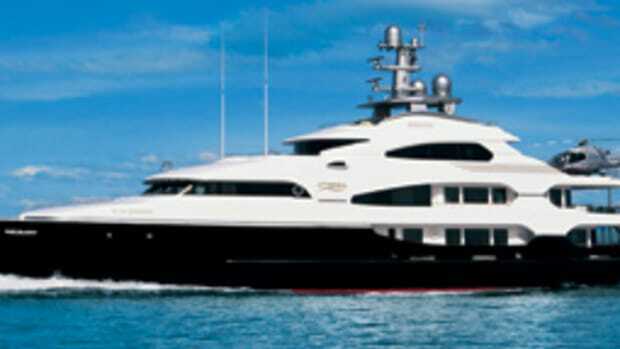 More to the point, Moran (who passed away earlier this year) loved building yachts and welcoming his business associates aboard them. 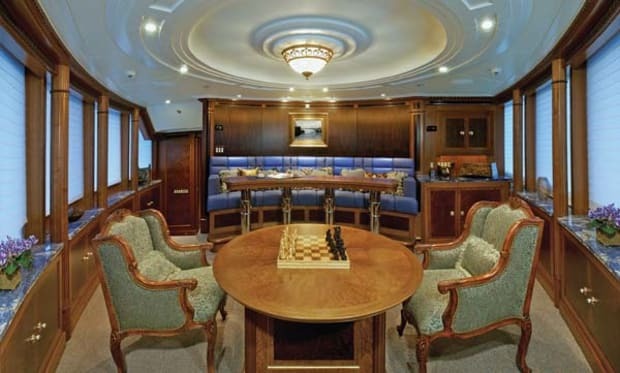 His passion for putting an imprint on a vessel&apos;s style and selecting advanced technical systems to operate aboard them was matched by his passions for the sea and for entertaining. 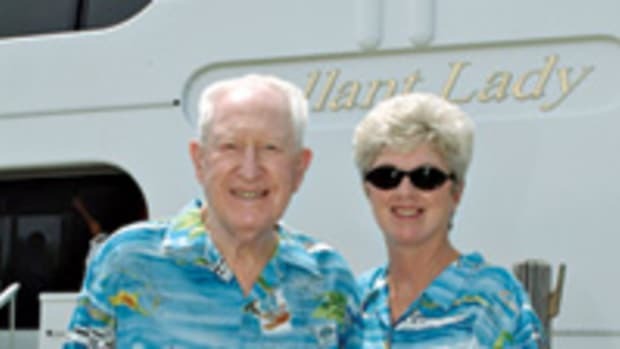 Despite being 84 years old and having had one heckuva run of boat ownership, he had all sorts of ideas in mind for another project, and he couldn&apos;t wait to share them with the yard that he first established a relationship with more than 20 years ago. 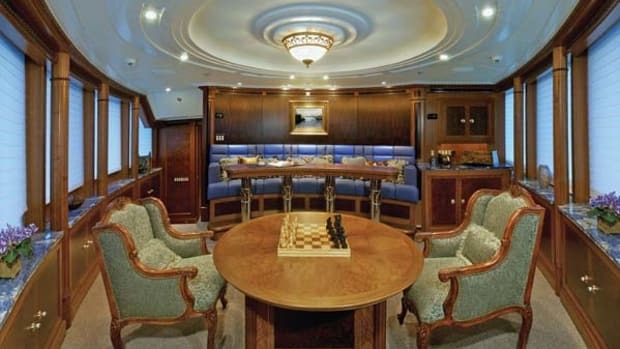 Thus Hull 672 was conceived. 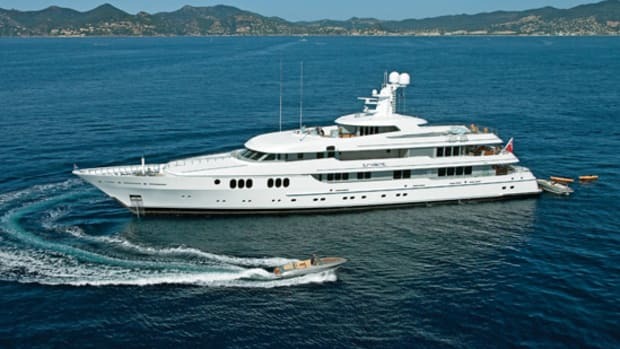 If you&apos;re a fan of Feadships, you&apos;ve probably already noticed a striking similarity between this 168-footer and the 172-foot Gallant Lady, particularly the three towering oval windows in her superstructure and the sculpted dodgers (the roof lines, if you will, of each deck), with each rising deck level cascading smoothly back from the other. But to assume the new 168 is exactly the same is to miss the subtlety and even genius of the details. Take the dodgers, for example. On the new Gallant Lady, there&apos;s a decided point to them. According to Capt. Joe Moore, director of marine construction projects for JM Family Enterprises and the project manager for Moran and his wife Jan, this evolved after Jim studied a model that Henk De Vries, director of Royal De Vries, presented during an early meeting. "Jim always loved our 172-foot ‘Flagship&apos; Gallant Lady&apos;s exterior styling, and he had an idea how to make it even more sleek and aggressive with the pointed roof lines," explains Jan, who&apos;s also senior vice president of JM Family Enterprises.